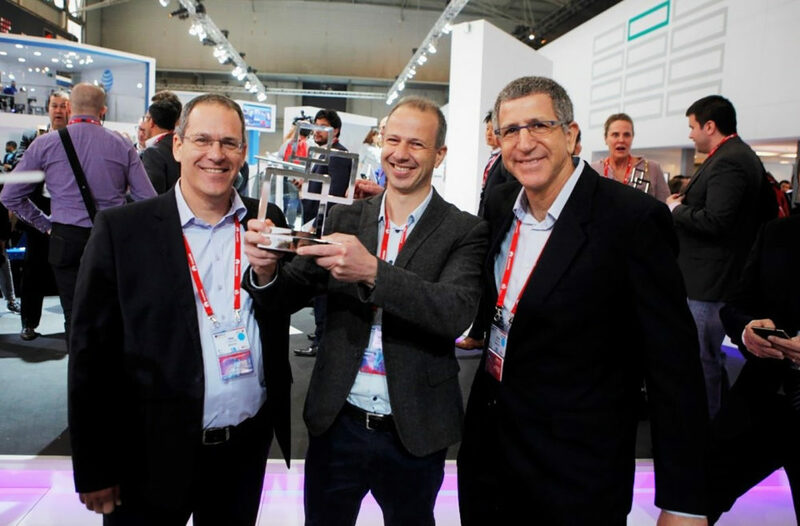 TEL AVIV, Israel & SAN JOSE, Calif. February 23, 2016 –Anagog Ltd., the developer of the world’s largest crowd-sourced parking network, was announced today as the winner for the ‘Best Mobile Innovation in Automotive Award’. The award was announced as part of the GSMA’s Glomo Awards in the Connected Life category at the 2016 Mobile World Congress in Barcelona and Anagog won the prize for its crowdsourced technology. The Anagog mobility status SDK allows detection of a user’s real-time mobility status with an ultra-low battery consumption. The Anagog SDK can tell for example if the user is currently walking, driving, at home or at work. It can detect automatically when and where he parked his car, if he is riding a bus, enters or exits a predefined zone, and more. Such mobility status detection enables the best context-aware applications and services and drastically improves the user’s experience. Furthermore, Anagog’s mobility status SDK can even provide certain levels of predictions on the user’s activities. For example, it can tell a few minutes before the user will vacate his on-street parking space. This predictive information, when collected simultaneously from multiple users, provides the most powerful crowdsourced parking network. Drivers can be notified in real-time about soon to be vacated parking spaces in their vicinity and get guidance there. The system even knows to refer only the desired number of drivers to the same vacating space. Anagog is deploying the SDK globally via a B2B model, where other B2C app developers are implementing the mobility status SDK in their apps and are providing services based on the SDK to their users. Anagog, on its part, is also providing to its partners a real-time crowdsourced parking network based on all the real-time parking vacating events collected from all SDK users globally. Furthermore, Anagog is also sharing with its partners’ other insights from the big data collected by it that can serve to enrich the user experience even further. As announced on January 25, 2016, GigOptix, Inc. (NYSE MKT:GIG), served as the lead investor in Anagog’s Round A financing, investing approximately $1.2 million for an initial ownership of 10 percent in the Company. Dr. Avi Katz, GigOptix Founder, Chairman, and CEO joined Anagog’s Board of Directors. Anagog was founded by Gil Levy and Yaron Aizenbud in 2010 and used the first years to develop and perfect the mobility status algorithms that allows for advanced on-phone machine learning capabilities for best user experience with ultra-low battery consumption and with a high level of privacy protection. The company have filed 12 patents to date and is currently developing a set of additional related advanced technologies and services. GigOptix, Inc. (NYSE MKT: GIG) is a lead designer, developer, and global supplier of a broad range of analog, digital, and mixed signal components to enable high-speed information streaming over the telecom networks, datacom infrastructure, and consumer electronics links. Its ability to innovate and create differentiated products is based on the deployment of various semiconductor technologies that span from III-V compounds to SiGe-BiCMOS and CMOS based device designs. GigOptix’s product portfolio provides high-speed and low-power solutions in markets such as fiber-optics telecom, wireless backhaul, datacom and consumer electronics, mil-aero, instrumentation, and medical equipment, for applications such as line cards and transponders, active optical cables and pluggables, point-to-point wireless radios, military warfare, avionics electronics, GPS systems, and diverse medical equipment, such as ultrasound imaging, X-Ray, MRI, CT Scan, and Defibrillators.